The Winnower | Science: The Pursuit of The Truth Complicated by The Pursuit of Mortgages. How we can align open communication seen on blogs with career-advancement garnered from publications. Three key aspects of scholarly communication need to be made available for bloggers: 1) DOIs, 2) Review, and 3) Archival. Scientists are, by and large, a group of people that want to solve problems and help mankind. They are good people. Scientists, however, also have to deal with paying mortgages, student loans, and other living expenses. This complicates how they approach scientific problems. Indeed, this “complication”— being a human and being alive—can cause scientists to behave in rather unscientific ways. They may choose to approach problems they already know the answer to instead of big unsolved questions, they may ignore or simply leave out an experiment that goes against five other experiments they have already performed, they may take one paper and slice it into five in order to increase their publication count, they may concede their copyright and publish behind paywalls because of the prestige of the journal. In short, they may focus on things that are peripheral to science but that they think are necessary to do in order to pay their bills… and we all have bills. It is because of this (and ego) that we care about things like impact factors, H-indices, and whatever metric of success we will come up with next. How can we improve this system, that even early grad students can recognize as severely flawed (Chuen 2014) or does a better system already exist? Does a better system already exist? A DOI is a unique alphanumeric mark (e.g 10.15200/winn.140268.84031) that signifies to the reader and citer that content will be present and unchanged. This is important as it helps create order in an ever-changing dynamic environment—the Internet. It allows different parties to utilize content with confidence and is thus a great tool for the scientific community that relies on citations for building ideas. The power of blogging comes from the ease of writing and responding to a post. This is also what can make your work “peer reviewed.” Have 10 different comments on your writing? That is probably more than most scholarly publications have. Of course, comments and reviews may not be identical in nature. Comments are typically informal questions or suggestions aimed at improving the overall topic whereas reviews are typically a more thorough analysis aimed at improving the idea and the paper. Both are valuable and both deserve to be evaluated openly by readers. A key difference between blogs and publications is their lifespan. Blogs can come and go but journals, even if they disappear, are preserved. There are a variety of institutions that accomplish this, such as Perma.cc, Portico, and CLOCKSS, all of which work by keeping lots of copies in different places under the control of the archival organization, libraries, and/or publishers. Chuen, L. 2014. "Science is broken. Part 1." The Winnower. doi: 10.15200/winn.141680.08615. Nicholson, J. M. 2014. "Making Scientific Blogging "Count"." The Winnower. doi: 10.15200/winn.140286.62987. Broader cultural change is what is needed. You have hit the nail on the head. These three changes would make all the difference in the world. If blogs were "publications" I would have hundreds of them. There is just one issue you missed. Everything that those with the power to make a young researchers career associate with legitimate publication derives from printed paper. Every safeguard and procedure put in place by the traditional pre publication peer review and no commenting journals derives from the limitations of the printed page. What is needed in addition to your three points is a change in our collective perception of both the purpose of publication, and the purpose of reviews. The view of just what makes a legitimate publication will likely change as the population of scientist changes. Senior people retire, and those who have grown up with ubiquitous electronic media become senior. A great physicist once said science advances not because senior scientists change their minds but because they retire. This may be the case with publishing. This review has 6 comments. Click to view. I tried to give 4.5 stars for writing but the .5 didn't show up just now. Yes, I agree whole-heartedly with this. To change publishing you need three groups of things: cultural change from within academia; development of appropriate tech to accommodate the shift; and policymakers and funders to mandate the changes - the third aspect of this is initiated by the progress of the first two. I don't want to wait for people to retire for this to become a reality. I want senior scientists, along with early career researchers, to be part of the change, to be driving it. That's what community means - it's not exclusive. Hontas Farmer writes "If blogs were "publications" I would have hundreds of them." So would I -- in fact I recently passed the threshold of 1000 posts across my two major blogs. But I don't think counting them all as papers would be a good thing. For one thing, it would increase by a factor of 50 the amount of reading someone would need to do in order to be familiar with my work. We have different expectations of what is necessary background reading in a field. I think someone starting out to work on sauropod neck posture would be unprofessional not to read my half dozen or so papers on the subject, but they would certainly not be expected to read my 30 or 40 blog posts on it. In short, the distinction between papers and blog posts has real utility in the present scholarly ecosystem. If we want to elide that distinction, we need to think through the implications. I'm not saying it can't be done, or that it shouldn't; just that simply throwing all blog-posts into a bucket labelled "papers" is not going to be a net win. By the way, I hate the way the Winnower platform has mushed my three paragraphs into one. That's not just a cosmetic thing, it obscures the flow of the argument. And while I'm at it, the comment box -- both for these comments-on-reviews and especially or reviews themselves -- is much too small if you want to lay out a non-trivial argument. Why on Earth does the have the CSS property resize:none? What reason can there be for preventing writers from making boxes the size they find convenient? Fully agree that we need to change what we see as the purpose of publication and the purpose of review. It is as if we are dancing the Waltz with large speakers on the ground not plugged in. That is to say, there are many different scholarly tools out there that can only benefit how we discuss science and models-- we need to include them in the dance of ideas. Thanks for your review, Hontas! Hey online gamers here is the best working bingo bash chips generator and the best used hack for bingo bash games. Now its easy to get bingo bash chips. These chips can make your game play simple and trending. I think you have a good idea here, but I think that there are a few concerns. First, DOIs are not all that you make them out to be; indeed, you contradict yourself in the post as you want it to be unchangeable and yet, you want to make edits. And second the use of CLOCKSS. You say that these articles are archived, but there is no way to check on this while CLOCKSS is a dark archive. Of course, I am not suggesting your are lying here, but what aspects of the presentation are preserved in CLOCKSS? And what if these are important? 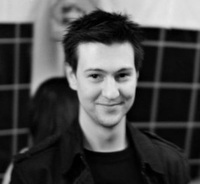 For me own blog, I have used purls to give a two-step redirection to blogposts and archive.org for archiving. PURLs because they are free, and archive.org because it does not suffer from the darkness of CLOCKSS. Having said all of this, I think this does make a very valuable contribution. In the scientific community DOIs have a magical value placed on them. CLOCKSS less so, as fewer people have heard of it, but it is still there. I do not know whether the application of DOIs and CLOCKSS here will increase the value of posts on winnower, or decrease the magical value of DOIs, but either would be a good thing. Hi Philip! Thanks for the review. Sorry for the confusion or overselling on DOIs. Clearly, there is some bias on our end as we intend to sell DOIs to authors on The Winnower in the near future. This was not intentional, however, so apologies if this came through as too much of a sales pitch. I think it is possible to be unchangeable and dynamic. At face value this does seems impossible or contradictory, but I think this can be accomplished by utilizing "versioning"--that is assigning different DOIs to different versions of the articles. Thereby making sure the content can be faithfully resolved, but also can be updated with newer versions. I appreciate your review and hope that ultimately the focus is not on DOIs, publisher, or Altmetrics, but on the content itself. I think we are taking steps towards this. This is rather a suggestion than a review: there are weird \ns in the 3 first URLs. Not a big deal since the href is correct, but don't work if cut and pasted. Thanks for the suggestions and careful eye! Currently, there is no "versioning" on articles already assigned a DOI with The Winnower but clearly this will need to change as we go forward. If we are to make articles similar to blogs, them being dynamic is very important. Again, thanks and hopefully this can be updated in the future when we allow DOIs to be assigned to different article versions. Good idea. In the area of nutrition, for example, I think a number of bloggers have made valuable contributions and, maybe just as importantly, speculations. In that field, grants and general lines of thought have been beholden to powerful forces that have a vested interest in older paradigms. But it's been obvious that much of the older paradigm is mistaken, and I think bloggers have done a lot to point that out and improve our knowledge. I don't know, but perhaps much the same could be said about other fields of science. The downside I see to this is whether any old blogger would have the ability to assign a DOI and thus perhaps cheapen the pool of scientific research. Cheapening the pool of scientific research is undoubtedly a concern with assigning DOIs to blogs (blogs with cat pictures surely don't move our knowledge forward), however there are many other things that can be done to avoid/limit this. Papers can be "winnowed" based on reviews from validated reviewers (openly), ratings, and altmetrics. Overall, our goal in assigning DOIs to blogs is to level the playing field putting ideas ahead of venue. This is a useful enumeration of three key qualities that typically distinguish recognised scholarly articles from blogs (DOIs, peer-reviews and archiving), but it only hints at the solutions that would enable blogs to participate more fully in the scientific discourse. More fundamentally, while discussing mechanical differences between blog-posts and papers, this article overlooks the more fundamental difference between them -- one of intent. A paper is intended to stand as a complete, rigorous summary of a self-contained unit of research, whereas most blog-posts are intended to communicate a single thought, observation or opinion, not necessarily providing justification or other background. This is not a criticism of blog-posts, merely a recognition that they are a different kind of thing from papers, and for reasons deeper than those discussed here. Ironically, my concern about this arises precisely because I am trying to treat this contribution as a short paper rather than a blog-post (hence this peer-review). If it were a blog-post it would be just fine. As a paper, it falls short of what we expect from that form. The Winnower's goal is to provide mechanism for publishing papers as easily as blog-posts, but there is work to be done in figuring out exactly what kind of contribution this is appropriate for. "This doesn’t make them bad per se but it complicates how they approach scientific problems" -- I would cut "doesn’t make them bad per se but", which doesn't need saying and risks setting a negative or adversarial tone. "They may concede their copyright and publish behind pay walls" -- "paywalls" is usually a single word. "A DOI is a unique alphanumeric mark (e.g 10.15200/winn.140268.84031) that ensures, as best as it can, that content will be present and unchanged" -- This rather lax language hugely overestimates what DOIs can do. They are only identifiers with a redirection service. Persistence and immutability are important, but must be provided by other means. "This is traditionally achieved by the CLOCKSS archive" -- but then a brief description of LOCKKS is given. They are not the same thing. This section needs a clearer write-up. Also, CLOCKSS is only one candidate: others include PubMed Central, Portico and arguable WebCite. This review has 4 comments. Click to view. Re: Comments vs Reviews. One solution would be for very formal reviews to be submitted as separate winnower articles. Then the review gets full Latex/Word formatting plus its own reference and doi. Papers are sometimes published criticizing other papers in the literature of traditional journals. That could work here..but such works should be just as hard to publish as articles in terms of access and cost. This will prevent cheap shots and frivolous acts. To your general point about the difference between blogs and papers, you are right. There currently is a difference, but wouldn't we benefit as a community if this difference were blurred a bit? We treat papers as if they are trophies and try and make them perfect, when in fact such a goal probably has the opposite effect. In my opinion it is better to move forward the idea than the paper, although both can be done as they were here. Sure, there will be an increase in what we count as papers, but when it comes to evaluation of a scientist no one is expected to read all the papers of an individual, rather the individual selects which are best (at least this is how I think it should work). Your specific points were very useful and I addressed them in the text (see above). Thank you for your time and for your review. It surely has strengthened the paper and the platform, which it is published on. Research can be published as it is done. Review can come from the academic community, or further. Quality standards and filters are defined by the community. There is no cost, and no delay of publication. There is no prestige, there are no page charges. Oh, and I guess it's all open access too. Data? Combine it with FigShare. What you've just created is a full community-driven, open, workspace, that completely negates the need for traditional publishing. You can even have proxies for prestige, through the commenting system - much like PeerJ currently have. This is a great idea. I made a mention of Stack Overflow in the paper, but the truth is there are likely many different models that would benefit from what is proposed in the paper. Scholarly discussions, sometimes much better than what is ever seen in a typical paper, happen in many different venues. We need to think how we can empower these new models as we transition away from the formal journal article. I understand from the article that researchers do behave rational when they still publish in legacy journals, even if the newer avenues for publication are much better at disseminating the work. This is a subtle point, and also an obvious one, once you got it. Indeed, researchers publish in legacy journals (and don't appreciate other possibilities and formats, like blog posts) because this pays the bills. In other words, researchers get an advantage from publishing in the old way. On the other side the same researchers read from the Net. So they read from the Net but publish on paper, to simplify. This way, as authors, they don't appreciate research blog posts, for example, but they do appreciate them as readers. A very rational behaviour indeed. In the short term. In the long term the disconnection between what we read and what we write will have disastrous effects. It already has, I think: nowadays you can write anything, there is always somebody who will publish your creation and somebody else who will cite it without reading it. Now let's think why exactly if we publish in legacy journals then we can pay the bills? I agree with Mike that a blog post is not an academic paper for reasons that have nothing to do with the DOI. I feel strongly that there is a good reason to keep them separate. I see this as a sort of identity crisis for your platform. Is it for self-publishing of academic papers? If yes, then you are competing with PLOS, PeerJ, F1000Research, and most of all, bioRxiv and arXiv. Bad news is that even PeerJ and F1000 have a hard time competing in this space. 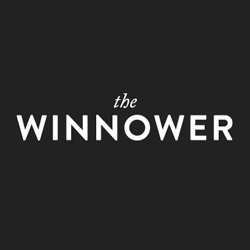 Is The Winnower a blogging platform? If yes, you are competing with Tumblr, Wordpress, Blogger. That's even harder than competing with PLOS. So it seems you have decided to make The Winnower unique by turning it into a blog-paper space. Doing so, you may have removed all competition. Fantastic. I fear that you have also thus removed all demand. It will be hard to get submissions if authors don't understand whether it's for papers or blog posts. It will be even harder to get regular readers. Thanks for the feedback. Of course, I disagree that there is no demand for this--we've had lots of users asking when our blog interface will be ready. Some from very popular blogs. Of course we can test this (and will) once our plugin is complete so there is no need to try and guess about who is right or wrong. It will be played out completely transparently like all publications on The Winnower.. Stay tuned!